For Birthday Reminder or Automatic Birthday wisher using apex in Saleforce, use the below codes. I have implemented this using Batch Apex. 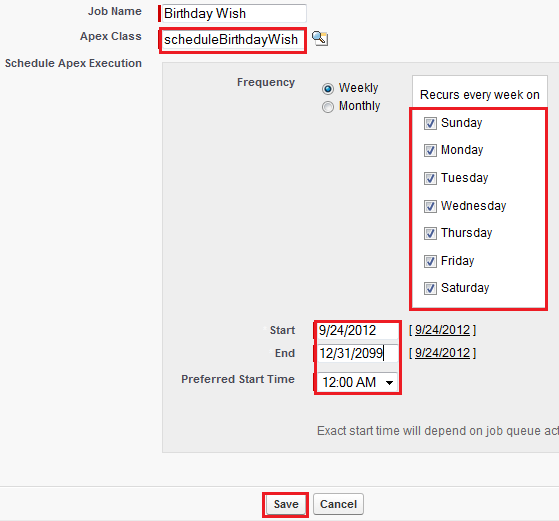 Schedule the 'scheduleBirthdayWish' as mentioned below in App Setup --> Apex Classes --> Schedule Apex and select 'scheduleBirthdayWish' class. Check Weekly and select all the days. Give Start and End dates and Preferred Start time and Click 'Save' button. I am new to apex classes I was tried as you gave in this blog but batch apex is running with this error First error: Attempt to de-reference a null object. Please advise me on this..
Use system.debug to track your code. 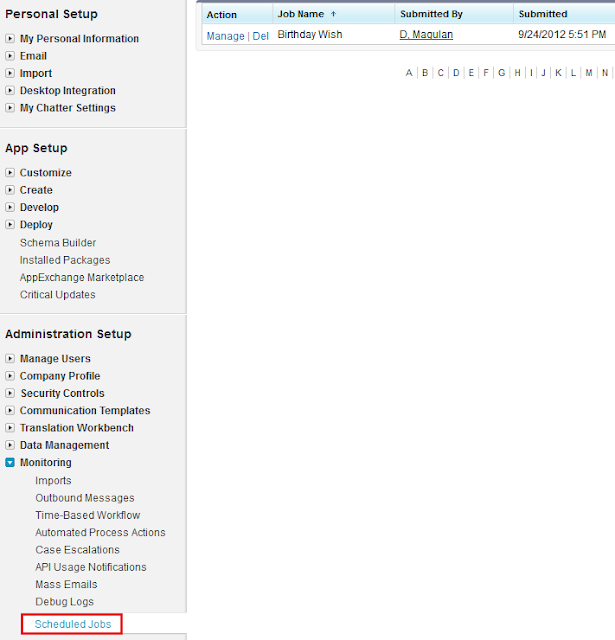 Please make sure that there is no records without Email_id__c and Birthdate__c values(fields should not be null)in the member__c object. else it will throw attempt to de-reference null object error.